Back in 2011, it was almost impossible to find any files for the free Bible study program known as e-Sword that were done by members of the Lord’s church. In fact, there were a grand total of three. And one of those three was almost impossible to track down. By comparison, there were close to a hundred Mormon files available at that time. Since then, thanks to the hard work of a certain Cobb Six family member, there are now close to eighty files available for your study. On this page, you will find a list of the e-Sword files (called “modules”) that are available. Most of these are free. However, there are some extra-special modules that have required literally hundreds of hours of work to put together. Because of the work invested in them, we are charging a small fee for those modules. Note: For instructions on how to install these modules, scroll to the bottom of the page. This commentary module covers almost the entire Bible, from Genesis through Revelation. This is close to 3,000 pages of notes taken during two intense years of study in preaching school. For more detailed information, click here. This collection is the work of hundreds of hours of study. It is still being worked on and added to on a regular basis. As of this moment, it contains Cobb’s commentaries on Philemon (“The Prodigal Slave“), Jude (“Fight for the Faith“), and James (“Justified by Works“). These three books, by themselves, would cost you over $20.00. But in this collection, you can get them all in one e-Sword module for just $9.99! For more information, click here. This collection focuses on several series of sermons. These outlines are very detailed, and ready to be used by whoever wants to use them. The series contained in this collection are: Elders (16 lessons), The Beatitudes (8 lessons), John the Baptizer (6 lessons), and the Eight Baptisms of the New Testament (7 lessons). For more information, click here. Note: Most of these modules were originally made available via GravelHillchurchofChrist.com, which was built and is maintained by Bradley Cobb. However, some of these are exclusive to TheCobbSix.com. The Modern Literal Version (New Testament), 2015 Edition. The goal of the MLV translators was to make this translation as literal as possible while still being able to b understood. It comes highly recommended. For more information about the Modern Literal Version (including how to purchase it in print with extra-wide margins for notes), click here. This New Testament was translated in 1975 by a group of Christians who were living in Galilee for a time. It was used in some schools in Israel to help teach English, and was later translated into Arabic and distributed in some other Middle Eastern countries. It was translated for people who were not native English speakers, so it is not as literal, and uses a more common vocabulary. Over 1,100 pages of in-depth commentary and application of these two books of the Bible. The work is very well-done, well-researched, and easy to understand. Made available with the permission of the author. These two commentaries can be downloaded in pdf format from his website. Charles Rose Commentaries on Ephesians, I and II Peter. These commentaries are done in a question/answer format and designed for use in teaching Bible classes. Made available by permission of the author. He is the minister for the church that meets in Lincoln, Mo. Their website is here. This commentary was part of a series which included authors such as J.W. McGarvey and Moses Lard. Caton’s commentary covers the books of James, I and II Peter, I, II, and III John, and Jude. This book is available in print from Gospel Light Publishing. B.W. Johnson is best-known for his “People’s New Testament with Notes.” But what many people don’t realize is that he wrote other commentaries. His commentary on John was part of a series which included authors such as J.W. McGarvey and Moses E. Lard. This collection includes John, his Lectures on the Apocalypse (Revelation), as well as his commentaries on various passages of Scripture from Genesis through Revelation. You can read more about him here. This commentary is a “must-read.” It will challenge everything you think you know about Revelation, and it will also make a lot of sense. Wallace shows from the Bible that the book of Revelation was written foretelling the destruction of Jerusalem and the rejection of physical Israel. For more on Revelation, click here. This 447 page book is Alexander Campbell’s systematic theology. It covers everything from God and the Bible to faith, repentance, baptism, and Christian union. You will be happy to have this resource in your e-Sword collection. It is also available (free) in a great-looking pdf file here. Seemingly every possible angle is covered in this 360-page book about baptism. Campbell uses the original languages, the earliest translations, and the Scripture usage of the terms “baptism” and “baptize” to show that infant baptism, as well as sprinkling and pouring, is not Scriptural baptism. Be sure to check out his 134 questions on infant baptism at the end. It’s also available (free) in a great-looking pdf file here. Click your “start” button on the lower-left side of your screen. It’s also called the “Windows” button. In the window that pops up, click “Computer.” This should open a new window on your screen. Double-click the C: drive. This is your main hard drive. Double-click on the “Users” folder. Double-click on the folder that is your user name (what you named your computer). Click on the “start” button on the lower left corner of your screen. Click on “Computer” in the window that showed up. Double-click on the C: drive. Double-click on the folder called “Program Files.” If you have a folder there called “Program Files (x86)”, double-click on that one instead. 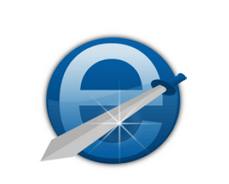 Locate the e-Sword folder and double-click on it. Now we have two windows open. Go to the first window (downloads) and locate the e-Sword file that you downloaded. click on it, and then drag it over to the e-Sword window. Do this with all the e-Sword files you downloaded. Now, you can close both of the windows. Then go start e-Sword (or, if you had it open already, you’ll need to close it and re-start it). Your files should now be loaded and ready for use! If there are problems with getting this to work, feel free to contact us.